I am, as you probably know, a fan of beverage companies. One of my largest holdings is Diageo (DGE) which I last topped-up in December and recently analysed over on Seeking Alpha. However, I also hold soft-drinks maker Britvic (BVIC) which I bought in April 2015. Soft drinks remain, for me, a very attractive prospect. But you can't look at the sector without your eye turning to the mother of all soft-drinks makers: Coca-Cola (KO). Coca-Cola continues to impress even in the face of fairly flat volume growth and modest but consistent underlying (that is, constant currency) revenue growth. A large part of this reason is its remarkably rewarding attitude towards shareholders' return. This is an issue I have only recently looked at in more depth. But I am glad I did. Here I plan to focus on this aspect rather than the company generally (which I hope to analyze more fully another time to follow up on my last analysis of Coca-Cola on Seeking Alpha in December 2015). The company continues to throw bucket loads of cash at its investors. Obviously, the dividend is the most prominent form of return. But this is just the beginning. Coca-Cola returns much more than this each year through share buybacks, which has helped underpin the healthy dividend growth in recent years. Here I plan to take a little look at what I mean. This is an incredible rate of growth which, I am sure, delights any investor who has held Coca-Cola for the last five years. But how have they achieved this? Partly through underlying growth, but also through extensive and consistent shareholders' return. 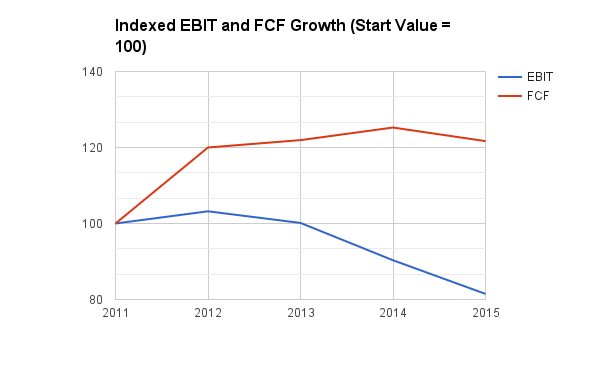 All in all, over the last five years they have passed back around about 100% of their FCF to shareholders. Most of this through dividends, but a smaller yet significant amount through buybacks. To consistently see a return (excluding share price appreciation) of over 4.3% from a company with such a strong market position and attractive brands as Coca-Cola (not to mention the low volatility) is fantastic to see. 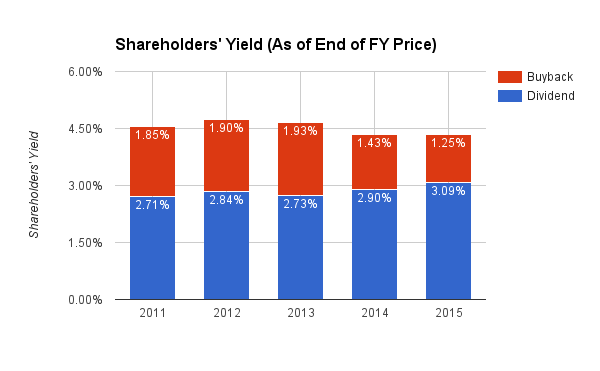 What is more, if you had bought in late 2011 at $35 you would be seeing a dividend yield on cost of nearly 3.8%. Not bad at all. The impact this has on a company like Coca-Cola whose dividend obligations are sizeable is important. 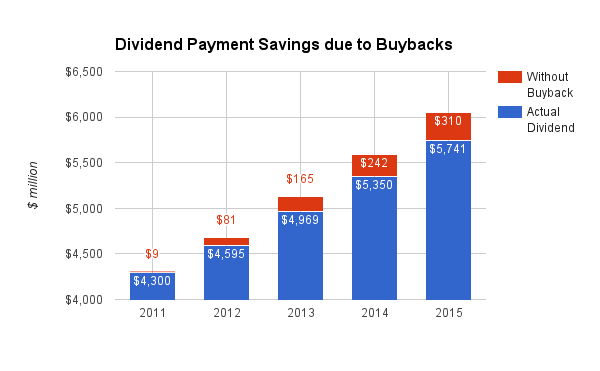 By 2015, the buybacks had chipped off $310 million per year in cash needed to fund the dividend had they paid out $1.32 to each share as of 2010. If Coca-Cola was to pay out the exact same amount of cash as a dividend but without the assistance of the buyback program the dividend would have amounted to $1.25 per share rather than the $1.32 per share actually received. A yield, that is, of 2.8% rather than the 3% it currently yields. Considering this is just over a 5 year period, the impact is hardly small. We are targeting full-year 2016 net share repurchases of $2.0 to $2.5 billion. With revenue and EPS growth set to be pretty slow or flat over the next couple of years, share buybacks will be increasingly important in underpinning the generous dividend and its continued growth. Buybacks sometimes get attacked, and sometimes rightly. However, when well executed they can offer significant long-term shareholder value. Coca-Cola seems to have mastered this. There Are Better Uses Surely? The strong and stable cash flows and incredible brand power means it can borrow cheaply. 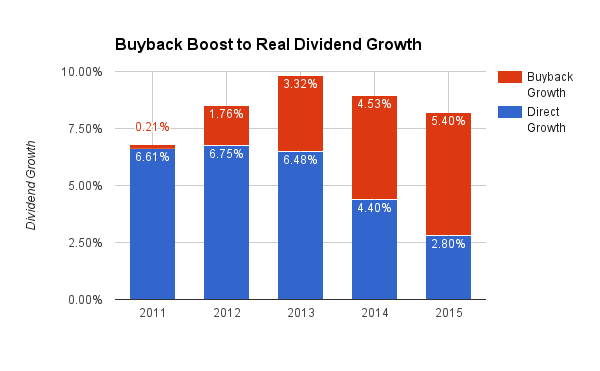 In such an environment returning cash to investors through dividends and buybacks seems very attractive indeed. This is especially true for Coca-Cola whose dividend is a major attraction for investors and major item on their cash flows. 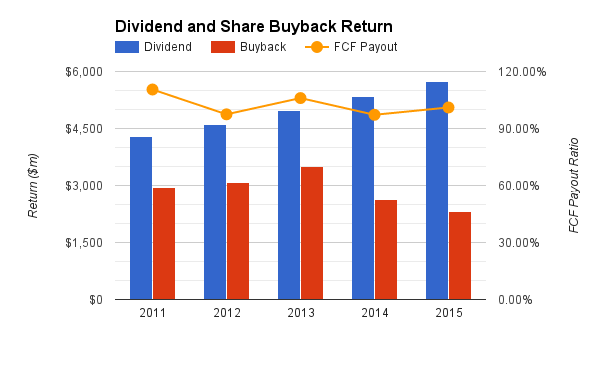 The cumulative benefits of share buybacks on keeping dividend growth coming without the dividend payments becoming unmanageable for Coca-Cola is transparently obvious. The 3% dividend yield from Coca-Cola is just the beginning of its attraction. 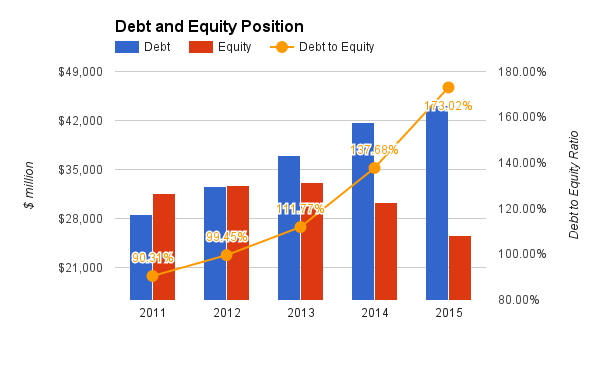 Its longstanding buyback program, set to continue into 2016 has enhanced shareholder returns significantly over recent years. With it set to yield (including buybacks) around the 4.5% again in 2016, it is hard to argue that Coca-Cola is not an attractive investment. 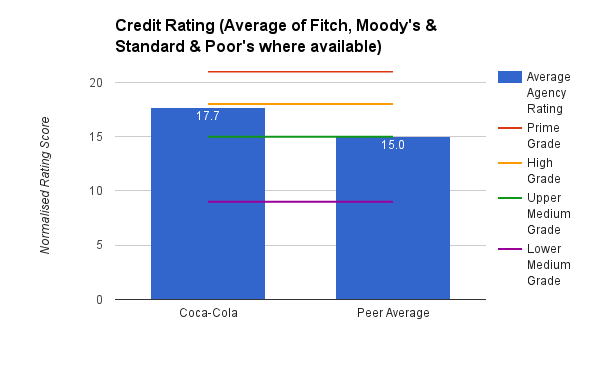 The importance of Coca-Cola's buybacks should not be underestimated, however. Keeping an eye on their pace in the future is important for investors. But right now, it looks like they are set to continue for some time. 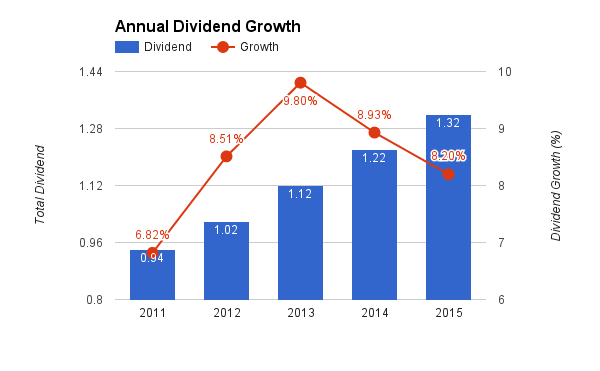 In turn, the dividend looks set to continue its march forward. Coca-Cola remains, to me, a compelling income stock. But it attractions reach beyond simply the dividend. The important thing here is its implications for other beverage makers. Growth for them is often slow but steady, yet they turbocharge growth in EPS and dividends through share buybacks (and indeed, businesses in other areas do the same) . Overlooking this when analysing their income potential seems, in hindsight, unfortunate. Something to ponder on in future! * Peers on this occasion are PepsiCo (PEP) and Dr Pepper Snapple (DPS). Following your analysis from Spain. I,ve also read your articles in Seeking Alpha about Diageo & Unilever. I,m divided grotwth investing strategy oriented. In my diversification process I,m invested, as you, in Diageo, ULVR, GSK, BHP, Carillion, Hsbc, RDSB, BP, NG, and V, Dis, Jnj, PG. Recently I iniciated a first position in ImperialTobacco, but i will wait to add cause is close to highs. I seee very interesting your positions in Britvic and PZCussons, but i didnt consider tnem by now. Maybe becouse we, abroad, have very few information about that companies. Go on the great work. Hi Preikestolen. Thanks for the nice comment. Glad you have been enjoying my writing in various places! It sounds as though we have a lot of overlap at present. you have picked up some nice companies in the meantime! Imperial Tobacco would be a little expensive for me right now as a buy. It is a great company, but the valuation has rocketed since I initiated my position some years ago. Great dividend though. You should do well despite the high price at present. Interserve is an interesting one. It is a well-managed company. It has been hit mostly due to the national living wage introduced here in the UK which will raise costs for companies like IRV (Carillion has also suffered as a result, for example). Short term this will dent earnings, certainly. However the companies remains attractive in my eyes for the long-term investor. Indeed, Interserve's dividend now looks very generous as well as well-covered. Legal & General seems to have suffered alongside the banks as it (and many other insurers) have quite extensive exposure to banking bonds. They tend to hold until expiry though, so unless the banks go bust I don't really think the share price pressure was entirely fair. Their growth and push for greater cash generation continues apace so I think they still look good both from a short and long-term perspective. Britvic and PZ Cussons are nice looking consumer companies in my eyes. PZC does a lot of trade in Nigeria and Asia. Britvic a lot in the UK, France and now Brazil. They recently released "Fruit Shoot" in Spain, I believe. Great companies. Definitely find out more. PZC has suffered due to its exposure to the Nigerian economy which (faced by commodity headwinds) has been hit quite hard of late. Long-term the company remains compelling as does its exposure there. Hope that is of use to you! Thaks for your answer and thoughts. Really you entered in very good point to IMB. I see is closed to highs, so I,ll wait to add. It,s interesting its future options in eCigarrettes with Blu Vap. I like PM cause its favourable taxations. The market even in ftse100 is depressed now, maybe we have time for sitting in good price until the Brexit voting in June. Who knows! Sorry for the delayed response, Preikestolen. I certainly did. Got very lucky with my IMB holding. Kicking myself I did not start with a larger position. I was going to build it up over time. Probably not at this price, however. The price has moderated a bit recently (not today, however). The Brexit vote may throw up an opportunity. I am sitting on more cash than normal at the moment.